1868/72c. 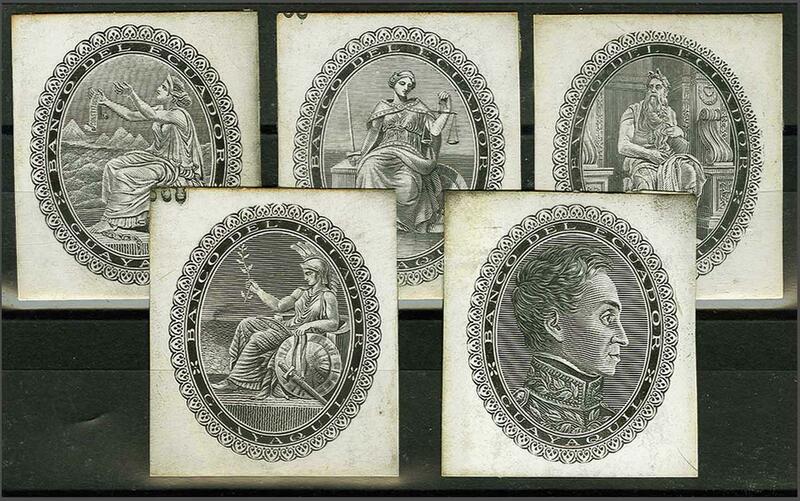 : De La Rue Die Proofs for Banknotes (5), all printed in black on glazed white card, featuring vignettes (five different) with surround of 'Banco del Ecuador / Guayaquil'. Some peripheral aging not affecting the appearance of a rare group.